When looking to repair or replace your refrigeration equipment, Air Cool has the expertise and ability to provide a first class solution. Whether it’s a premier brand you’re looking for or your budget is your main priority, Air Cool can offer equipment from numerous manufacturers to suite your requirements. 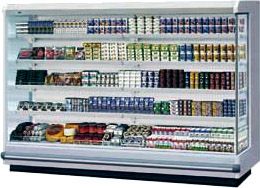 Cold Storage Rooms for meat, chilled or frozen produce. frozen produce, ice cream and general produce. Pizza make-up tables, salad prep cabinets, blast chillers and freezers, laboratory specification refrigerators, mortuary chambers. Multi-decks, low level serve-over, glass fronted cabinets, slime line displays, patisserie cabinets, ice cream conservators, beer & wine coolers. As your requirements change, so can our solutions. Just one call is all it takes. We’re here to keep your meat, fish, fruit, beer, cakes and wine as well as Air Cool!